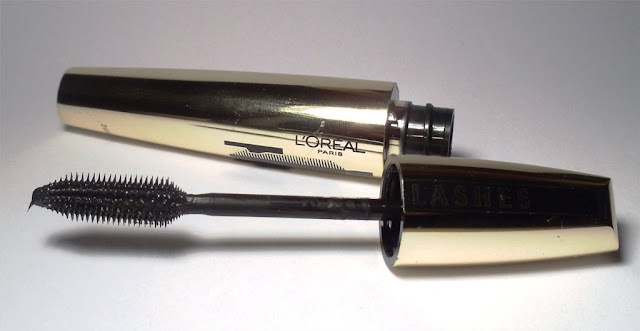 I love trying out different mascaras and this one from L'Oreal has been on my list for some time now. I was attracted to this by its gold casing, the promise of volume million lashes and the lovely Eva Longoria in the adverts. I like the brush on the mascara, It is not as big as the Revlon Grow Luscious so far less messy in application. I didn't find the mascara particularly wet or dry, just right and it dried relatively quickly. 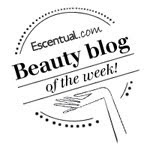 I have 3 lists for products that I use - Love it, It's OK, Hate it - and this one comes firmly in the Love it list. This was just using the Black version, so I am curious now to try the Extra Black that is available! I wish I had taken a picture from the side as they really do look voluminous. I have had quite a few comments since using this mascara, my sister commented that this is the best of the ones that I have used so far.. A lady in Selfridges asked me what I was using as I looked like I had lots of lashes..amongst others. I am loving these lashes for this season's parties!! The only reservation I have of this mascara is that after a while of wearing I would get little flakes under my eyes but these were easily brushed away. Volume Million Lashes Mascara is available from Boots and Superdrug as well as other stockists of L'Oreal products priced at £11.29. It comes in 3 colours - Brown, Black and Extra Black. Ooh your lashes look lovely!